If you’re looking to conduct truly anonymous transactions, bitcoin isn’t the perfect digital currency to use. While personal identities are not shared via the bitcoin network, it is still possible to identify wallet addresses and follow transactions through the block chain. For a real anonymous coin, you’ll need to turn to darkcoin, a digital currency launched in January that is storming the cryptocurrency scene with its pioneering energy-efficient mining algorithm and multifaceted, identity-protecting features. Enthusiasm for the digital currency has been fueled by darkcoin’s price gains in recent weeks, as the coin has seemingly successfully appealed to many buyers who once turned to bitcoin for its supposed anonymity. At press time, the price of one DRK is roughly $13 per coin, exceeding the price of litecoin and nearly all other major altcoins on CoinMarketCap.com. What’s fueling this dramatic growth? Darkcoin’s facilitation of anonymous transactions seemingly confirms fears among regulators and law enforcement agencies that digital currencies propagate transactions that are untraceable. In practice, the coin’s technological aspects act to conceal identities through several different approaches. 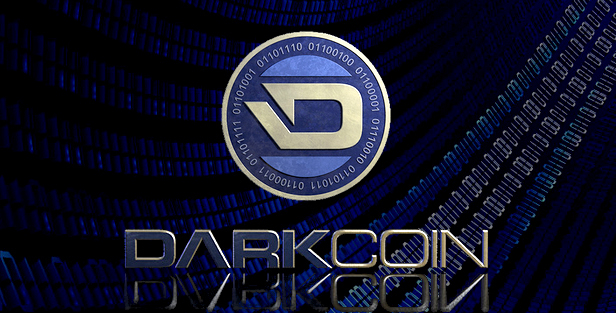 One of the major components of darkcoin is DarkSend, a peer-to-peer framework that bundles small transactions into larger anonymous ones. DarkSend is based on the CoinJoin concept created by bitcoin developer Gregory Maxwell, which acts as a transaction bundler. In the case of darkcoin, this merger makes it far more difficult for someone to ascertain the source and destination of payments within the network. DarkSend also incorporates an infrastructure of masternodes that handle the transactions in a decentralized manner. Functioning in what Duffield calls a “proof-of-service” system, masternodes act as the transaction bundlers and receive 10% of the block reward for doing so. There is a masternode election system that randomly assigns which masternode will process a bundle of darkcoin transactions. According to Duffield, masternodes effectively receive dividends that even out across the network over time. Notably, it costs 1,000 DRK to set up a masternode. This, Duffield explains, ensures that only those who get involved in running the network have a vested interest in participating, as well as prevent bad actors from spying on the transactions taking place in the darkcoin network. A more detailed explanation of the masternode framework and election system can be found in the original darkcoin whitepaper written by Duffield and developer Kyle Hagan. Duffield told CoinDesk that, in part, darkcoin also seeks to solve some of the problems associated with proof-of-work mining, namely energy costs. The X11 mining algorithm, since deployed in several new digital currencies, delivers notable benefits including a closer parity between GPU- and CPU-based mining rigs. Duffield said that, from the beginning, he sought a new kind of mining algorithm. Interestingly, X11 was developed to be slightly less efficient than other alternatives. While this may seem counterintuitive to the mining process, with miners seeking greater efficiency to deliver more hashing power, Duffield explained that several key advantages came as a result of this development path. First, CPU-based miners and GPU-based miners perform at similar rates. This widens the appeal of the algorithm, enabling more people to get involved in the mining process without having to invest in more hardware. Additionally, X11 allows for more energy-efficient mining. Duffield said that most mining rigs run about 30% cooler than those running on alternative proof-of-work algorithms. This factor, Duffield suggested, has lent itself to the greatly expanded hashing power in the darkcoin network and provided a boon to hobby miners who can’t afford large-scale cooling infrastructure. By doing so, he said, the community at-large would innovate from the ground up. 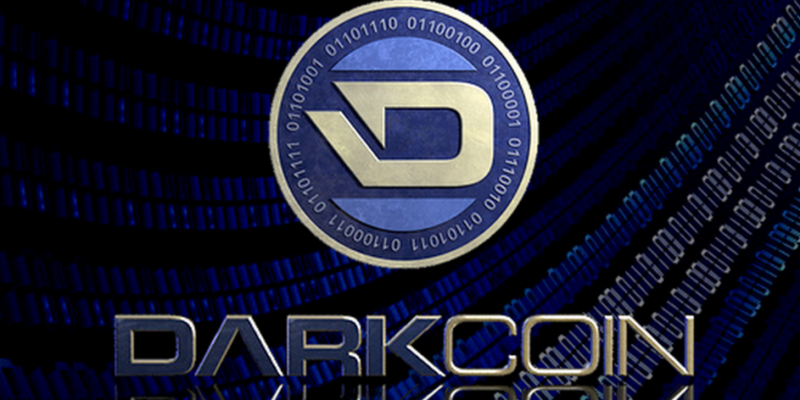 To solve this problem, darkcoin utilizes a reward curve based on the mining difficult at the given time. With a range of five to 25, the new reward structure puts in place an inflationary dynamic that delivers approximately 1m new DRK to the network each year. Additionally, darkcoin addresses a problem associated with the multipool ecosystem, by which large mining pools disrupt a coin network by dramatically expanding the overall hashrate. DarkGravityWave adjusts the difficulty using multipole exponential moving averages a simple moving average. This, according to the white paper, limits the multipool impact on the network and eliminates certain exploits possible through Kimoto’s Gravity Well, a per-block difficult adjustment scheme that is widely used in the altcoin community. Duffield told CoinDesk that the development team is working on several new initiatives that would greatly expand the possibility of a truly anonymous transaction network. Notably, Duffield is seeking to implement a system for building services on the darkcoin network. For example, someone could host a cloud wallet service that takes advantage of the speed and anonymity provided by the network. Duffield expects the number of masternodes to expand overtime, of which he said roughly 100 exist. Because the creation of a masternode involves takes 1,000 DRK out of the coin supply, more nodes could actually support the natural value of the coin. He added that, in the end, as many as 400 nodes could be created to facilitate transactions in the network. Ultimately, darkcoin is taking the idea of anonymous financial transactions pioneered by bitcoin and pushing it to the next level. However, it’s possible regulators could have a final say as to its ultimate success. Disclaimer: This article should not be viewed as an endorsement. Please do your own extensive research before you consider investing in the altcoin space.